Participants must be 16 years or older by the last day of the course. 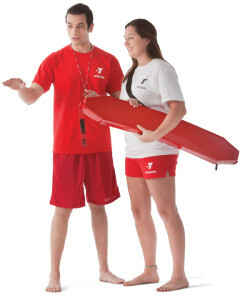 Note: YMCA Lifeguard Certification Course will include YMCA Lifeguarding, American Safety & Health Institute Basic Lifesaving (CPR-Pro/AED), First Aid, and Oxygen Administration. Perform a feet first surface dive in 8 to 10 feet of water. Then swim underwater for 15 feet. Sprint for a distance of approximately 60 feet and then perform an arm-over-arm surface dive in 8 to 10 feet of water.